The perfect Easter holiday activity for little animal lovers! No two days are the same for our busy Zookeepers at ZSL London Zoo! From animal dentistry to dung sweeping, this Easter holidays we’re giving kids the chance to get stuck-in and experience Zookeeper life in our brand new role-play experience, Mini Keepers. After arriving through a secret entrance within the Zoo, new recruits will be kitted out in uniform and given their daily check lists, before embarking on a journey behind the scenes into the specially-recreated keeper kitchen. Becoming part of the action, children will help keepers prepare lunch for the squirrel monkeys, create fun activities for the meerkats and experience the biggest job in a keepers’ daily life - mucking out! 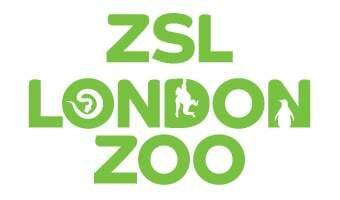 After the uniforms come off, a packed schedule of demonstrations and activities throughout the week will take families further inside the exciting world of the Zoo: explaining everything the ZSL team does to care for its 19,000 residents. Mini Keepers will run from 6 - 22 April, from 10am-4.30pm with entry on the hour, quarter past the hour and half past the hour. Last entry at 4.30pm. This event is included in the entry price. Recommended for children aged 4-11 years.